Another day, another pink post. I’m on a roll! 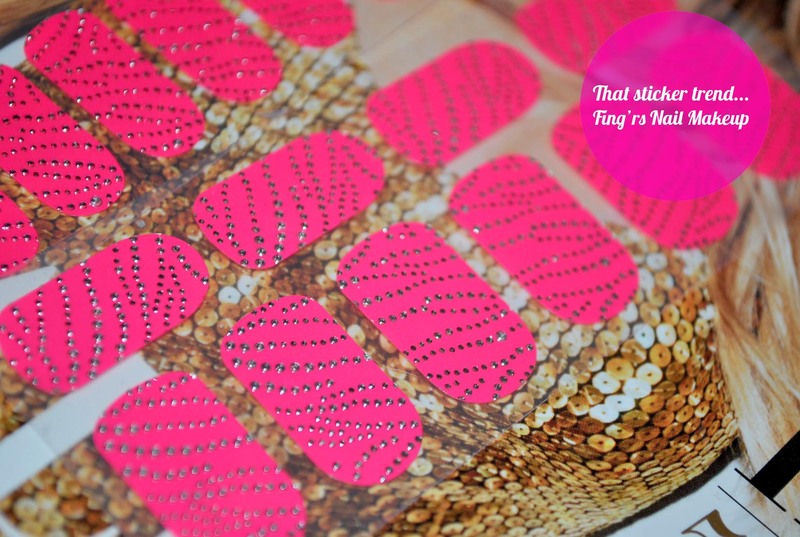 One of the biggest trends in nails for the past year has been nail stickers, an easy way to do nail art with no hassle. I’ve tried a bunch of them from different brands and have definitely loved some more than others. A brand that is new to me is Australian-brand Fing’rs, whose products are all about nail art. From artificial nails to stickers to even a nail art kit, they have everything you need to recreate Pinterest-worthy nails. L to R: Starlet, Transit, Hollywood. I received three of their nail stickers, which are decals you apply on your nails, similar to the Sally Hansen, Essie, and L’Oreal versions (all of which I’ve tried). Each pack comes with 24 stickers and are billed to last up to seven days. Available at Shoppers Drug Mart in Canada, there are eight different designs available (according to their website). I received Hollywood, Transit, and Starlet. Being obsessed with pink and glitter, I chose to try out Hollywood first to see how well they held up. The application is similar to the Sally Hansen ones. Basically, you peel off the size closest to your nails, apply it, then fill off the excess. 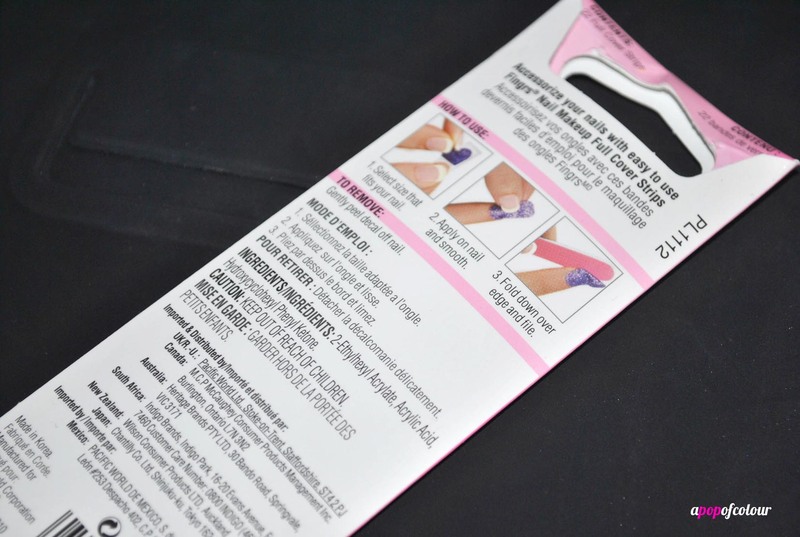 These are sealed in a plastic wrapper and have a plastically smell when you open it, but they are more along the lines of the Essie and L’Oreal versions, rather than the Sally Hansen ones, where after you open the pack, you can’t reuse the extras. I applied these last Saturday and they have actually held up really good six days later. A couple of them look a bit worn at the tips, but it’s nothing you would notice unless you look really closely. None of them have peeled either, which is really nice. Overall, I really liked these! The design looks way better on then it does in the package, and they are really eye-catching (I find myself looking at my nails a lot). I would totally recommend these over the Essie and L’Oreal ones simply based on the fact that these are easier to apply and they stay on perfectly. The only downside I can think of would be the availability of this product. Like I mentioned, they are available at Shoppers as I’m told by PR; however, I haven’t seen them at my local store. I’ll check out some other ones and let me know if you have seen these in stores. Have you tried Fing’rs Nail Makeup? If so, let me know your thoughts!